The second law of thermodynamics states that “as one goes forward in time, the net entropy (degree of disorder) of any isolated or closed system will always increase (or at least stay the same).” That is a long way of saying that all things tend towards disorder. This is one of the basic laws of the universe and is something we can observe in our lives. Entropy is simply a measure of disorder. You can think of it as nature’s tax. Uncontrolled disorder increases over time. Energy disperses and systems dissolve into chaos. The more disordered something is, the more entropic we consider it. In short, we can define entropy as a measure of the disorder of the universe, on both a macro and a microscopic level. The Greek root of the word translates to “a turning towards transformation” — with that transformation being chaos. As you read this article, entropy is all around you. Cells within your body are dying and degrading, an employee or coworker is making a mistake, the floor is getting dusty, and the heat from your coffee is spreading out. Zoom out a little, and businesses are failing, crimes and revolutions are occurring, and relationships are ending. Zoom out a lot further and we see the entire universe marching towards a collapse. Let’s take a look at what entropy is, why it occurs, and whether or not we can prevent it. The identification of entropy is attributed to Rudolf Clausius (1822–1888), a German mathematician and physicist. I say attributed because it was a young French engineer, Sadi Carnot (1796–1832), who first hit on the idea of thermodynamic efficiency; however, the idea was so foreign to people at the time that it had little impact. Clausius was oblivious to Carnot’s work, but hit on the same ideas. Clausius studied the conversion of heat into work. He recognized that heat from a body at a high temperature would flow to one at a lower temperature. This is how your coffee cools down the longer it’s left out — the heat from the coffee flows into the room. This happens naturally. But if you want to heat cold water to make the coffee, you need to do work — you need a power source to heat the water. Clausius also observed that heat-powered devices worked in an unexpected manner: Only a percentage of the energy was converted into actual work. Nature was exerting a tax. Perplexed, scientists asked, where did the rest of the heat go and why? … I propose to call the magnitude S the entropy of the body… I have intentionally formed the word entropy so as to be as similar as possible to the word energy…. The second fundamental theorem [the second law of thermodynamics], in the form which I have given to it, asserts that all transformations occurring in nature may take place in a certain direction, which I have assumed as positive, by themselves, that is, without compensation… [T]he entire condition of the universe must always continue to change in that first direction, and the universe must consequently approach incessantly a limiting condition. … For every body two magnitudes have thereby presented themselves—the transformation value of its thermal content [the amount of inputted energy that is converted to “work”], and its disgregation [separation or disintegration]; the sum of which constitutes its entropy. Entropy is one of the few concepts that provides evidence for the existence of time. The “Arrow of Time” is a name given to the idea that time is asymmetrical and flows in only one direction: forward. It is the non-reversible process wherein entropy increases. Let us draw an arrow arbitrarily. If as we follow the arrow[,] we find more and more of the random element in the state of the world, then the arrow is pointing towards the future; if the random element decreases[,] the arrow points towards the past. That is the only distinction known to physics. The Arrow of Time dictates that as each moment passes, things change, and once these changes have happened, they are never undone. Permanent change is a fundamental part of what it means to be human. We all age as the years pass by — people are born, they live, and they die. I suppose it’s part of the joy and tragedy of our lives, but out there in the universe, those grand and epic cycles appear eternal and unchanging. But that’s an illusion. See, in the life of the universe, just as in our lives, everything is irreversibly changing. Most businesses fail—as many as 80% in the first 18 months alone. One way to understand this is with an analogy to entropy. Entropy is fundamentally a probabilistic idea: For every possible “usefully ordered” state of molecules, there are many, many more possible “disordered” states. Just as energy tends towards a less useful, more disordered state, so do businesses and organizations in general. Rearranging the molecules — or business systems and people — into an “ordered” state requires an injection of outside energy. Let’s imagine that we start a company by sticking 20 people in an office with an ill-defined but ambitious goal and no further leadership. We tell them we’ll pay them as long as they’re there, working. We come back two months later to find that five of them have quit, five are sleeping with each other, and the other ten have no idea how to solve the litany of problems that have arisen. The employees are certainly not much closer to the goal laid out for them. The whole enterprise just sort of falls apart. It reminds one distinctly of entropy: For every useful arrangement of affairs towards a common business goal, there are many orders of magnitude more arrangements that will get us nowhere. For progress to be made, everything needs to be arranged and managed in a certain way; we have to input a lot of energy to keep things in an ordered state. Of course, it’s not a perfect analogy: We have to consider the phenomenon of self-organization that happens in many systems, up to and including human organizations. Given a strong enough goal, a good enough team, and the right incentives, perhaps that group wouldn’t need a lot “outside ordering” — they would manage themselves. In practice, both models seem to be useful at different times. Any startup entrepreneur who has stayed long enough to see a company thrive in unexpected ways knows this. The amount of diligent management needed will vary. In physics, entropy is a law; in social systems, it’s a mere tendency — though a strong one, to be sure. Entropy occurs in every aspect of a business. Employees may forget training, lose enthusiasm, cut corners, and ignore rules. Equipment may break down, become inefficient, or be subject to improper use. Products may become outdated or be in less demand. Even the best of intentions cannot prevent an entropic slide towards chaos. Successful businesses invest time and money to minimize entropy. For example, they provide regular staff training, good reporting of any issues, inspections, detailed files, and monitoring reports of successes and failures. Anything less will mean almost inevitable problems and loss of potential revenue. Without the necessary effort, a business will reach the point of maximum entropy: bankruptcy. Fortunately, unlike thermodynamic systems, a business can reverse the impact of entropy. A balance must be struck between creativity and control, though. Too little autonomy for employees results in disinterest, while too much leads to poor decisions. Without constant maintenance from individuals and dominant institutions, societies tend towards chaos. Divergent behavior escalates — a concept known as the “broken windows” theory. When I began studying the notion of entropy it became clear to me that thermodynamic entropy was merely one instance of a concept with much broader applications … I became convinced that entropy applied to social phenomena as well. One example of what happens when entropy increases unchecked occurred in the Kowloon Walled City. For a substantial length of time, Kowloon was abandoned by the government after the British took control of Hong Kong. At one point, an estimated 33,000 residents were crammed into 300 buildings over 6.4 acres, making Kowloon the most densely populated place on earth. With no space for new construction, stories were added to the existing buildings. Because of minimal water supplies and a lack of ventilation (no sunlight or fresh air reached lower levels), the health of residents suffered. A community of unlicensed medical professionals flourished, alongside brothels and gambling dens. With no one controlling the city, organized crime gangs took over. It became a haven for lawlessness. Though police were too scared to make any attempts to restore order, residents did make desperate attempts to reduce the entropy themselves. Groups formed to improve the quality of life, creating charities, places for religious practices, nurseries, and businesses to provide income. In 1987, the Hong Kong government acknowledged the state of Kowloon. The government demolished and rebuilt the city, evicting residents and destroying all but a couple of historic buildings. Although reasonable compensation was provided for ex-residents, many were somewhat unhappy with the rebuilding project. Looking at pictures and hearing stories from Kowloon, we have to wonder if all cities would be that way without consistent control. Was Kowloon an isolated instance of a few bad apples giving an otherwise peaceful place a terrible reputation? Or is chaos our natural state? Needless to say, Kowloon was not an isolated incident. We saw chaos and brutality unleashed during the Vietnam War, when many young men with too much ammunition and too few orders set about murdering and torturing every living thing they encountered. We see it across the world right now, where places with no law enforcement (including Somalia and Western Sahara) face incessant civil wars, famine, and high crime rates. Sociologists use an intuitive term for this phenomenon: social entropy. Societies must expend constant effort to stem the inevitable march towards dangerous chaos. The reduction of social entropy tends to require a stable government, active law enforcement, an organized economy, meaningful employment for a high percentage of people, infrastructure, and education. However, the line between controlling entropy and suppressing people’s liberty is a thin one. Excessive control can lead to a situation akin to Foucault’s panopticon, wherein people are under constant surveillance, lack freedom of speech and movement, are denied other rights as well, and are subject to overzealous law enforcement. This approach is counterproductive and leads to eventual rebellion once a critical mass of dissenters forms. We have all observed entropy in our everyday lives. Everything tends towards disorder. Life always seems to get more complicated. Once-tidy rooms become cluttered and dusty. Strong relationships grow fractured and end. Formerly youthful faces wrinkle and hair turns grey. Complex skills are forgotten. Buildings degrade as brickwork cracks, paint chips, and tiles loosen. Entropy is an important mental model because it applies to every part of our lives. It is inescapable, and even if we try to ignore it, the result is a collapse of some sort. Truly understanding entropy leads to a radical change in the way we see the world. Ignorance of it is responsible for many of our biggest mistakes and failures. We cannot expect anything to stay the way we leave it. To maintain our health, relationships, careers, skills, knowledge, societies, and possessions requires never-ending effort and vigilance. Disorder is not a mistake; it is our default. Order is always artificial and temporary. Does that seem sad or pointless? It’s not. Imagine a world with no entropy — everything stays the way we leave it, no one ages or gets ill, nothing breaks or fails, everything remains pristine. Arguably, that would also be a world without innovation or creativity, a world without urgency or a need for progress. Many people cite improving the world for future generations as their purpose in life. They hold protests, make new laws, create new forms of technology, work to alleviate poverty, and pursue other noble goals. Each of us makes our own efforts to reduce disorder. The existence of entropy is what keeps us on our toes. Mental models are powerful because they enable us to make sense of the disorder that surrounds us. They provide us with a shortcut to understanding a chaotic world and exercising some control over it. Organisms organize. … We sort the mail, build sand castles, solve jigsaw puzzles, separate wheat from chaff, rearrange chess pieces, collect stamps, alphabetize books, create symmetry, compose sonnets and sonatas, and put our rooms in order… We propagate structure (not just we humans but we who are alive). We disturb the tendency toward equilibrium. It would be absurd to attempt a thermodynamic accounting for such processes, but it is not absurd to say we are reducing entropy, piece by piece. Bit by bit … Not only do living things lessen the disorder in their environments; they are in themselves, their skeletons and their flesh, vesicles and membranes, shells, and carapaces, leaves, and blossoms, circulatory systems and metabolic pathways—miracles of pattern and structure. It sometimes seems as if curbing entropy is our quixotic purpose in the universe. The question is not whether we can prevent entropy (we can’t), but how we can curb, control, work with, and understand it. As we saw at the start of this post, entropy is all around us. Now it’s probably time to fix whatever mistake an employee or coworker just made, clear up your messy desk, and reheat your cold coffee. How Can I Use Entropy to My Advantage? Whether you’re starting a business or trying to bring about change in your organization, understanding the abstraction of entropy as a mental model will help you accomplish your goals in a more effective manner. Because things naturally move to disorder over time, we can position ourselves to create stability. There are two types of stability: active and passive. Consider a ship, which, if designed well, should be able to sail through a storm without intervention. This is passive stability. A fighter jet, in contrast, requires active stability. The plane can’t fly for more than a few seconds without having to adjust its wings. This adjustment happens so fast that it’s controlled by software. There is no inherent stability here: if you cut the power, the plane crashes. People get in trouble when they confuse the two types of stability. Relationships, for example, require attention and care. If you assume that your relationship is passively stable, you’ll wake up one day to divorce papers. Your house is also not passively stable. If not cleaned on a regular basis, it will continue to get messier and messier. Organizations require stability as well. If you’re a company that relies on debt, you’re not passively stable but actively stable. Factoring in a margin of safety, this means that the people giving you the credit should be passively stable. If you’re both actively stable, then when the power gets cut, you’re likely to be in a position of weakness, not strength. With active stability, you’re applying energy to a system in order to bring about some advantage (keeping the plane from crashing, your relationship going, the house clean, etc. ), If we move a little further down the rabbit hole, we can see how applying the same amount of energy can yield totally different results. Let’s use the analogy of coughing. Coughing is the transfer of energy as heat. If you cough in a quiet coffee shop, which you can think of as a system with low entropy, you cause a big change. Your cough is disruptive. On the other hand, if you cough in Times Square, a system with a lot of entropy, that same cough will have no impact. While you change the entropy in both cases, the impact you have with the same cough is proportional to the existing entropy. Now think of this example in relation to your organization. You’re applying energy to get something done. The higher the entropy in the system, the less efficient the energy you apply will be. The same person applying 20 units of energy in a big bureaucracy is going to see less impact than someone applying the same 20 units in a small startup. You can think about this idea in a competitive sense, too. If you’re starting a business and you’re competing against very effective and efficient people, a lot of effort will get absorbed. It’s not going to be very efficient. If, on the other hand, you compete against less efficient and effective people, the same amount of energy will be more efficient in its conversion. In essence, for a change to occur, you must apply more energy to the system than is extracted by the system. Members of the FS Learning Community can discuss this article here. If you’re not a member see what you’re missing. The beginning of any complex or challenging endeavor is always the hardest part. Not all of us wake up and jump out of bed ready for the day. Some of us, like me, need a little extra energy to transition out of sleep and into the day. Once I’ve had a cup of coffee, my energy level jumps and I’m good for the rest of the day. Chemical reactions work in much the same way. They need their coffee, too. We call this activation energy. Understanding how this works can be a useful perspective as part of our latticework of mental models. Whether you use chemistry in your everyday work or have tried your best not to think about it since school, the ideas behind activation energy are simple and useful outside of chemistry. Understanding the principle can, for example, help you get kids to eat their vegetables, motivate yourself and others, and overcome inertia. Chemical reactions need a certain amount of energy to begin working. Activation energy is the minimum energy required to cause a reaction to occur. To understand activation energy, we must first think about how a chemical reaction occurs. Anyone who has ever lit a fire will have an intuitive understanding of the process, even if they have not connected it to chemistry. Most of us have a general feel for the heat necessary to start flames. We know that putting a single match to a large log will not be sufficient and a flame thrower would be excessive. We also know that damp or dense materials will require more heat than dry ones. The imprecise amount of energy we know we need to start a fire is representative of the activation energy. For a reaction to occur, existing bonds must break and new ones form. A reaction will only proceed if the products are more stable than the reactants. In a fire, we convert carbon in the form of wood into CO2 and is a more stable form of carbon than wood, so the reaction proceeds and in the process produces heat. In this example, the activation energy is the initial heat required to get the fire started. Our effort and spent matches are representative of this. We can think of activation energy as the barrier between the minima (smallest necessary values) of the reactants and products in a chemical reaction. Svante Arrhenius, a Swedish scientist, established the existence of activation energy in 1889. Arrhenius developed his eponymous equation to describe the correlation between temperature and reaction rate. The Arrhenius equation is crucial for calculating the rates of chemical reactions and, importantly, the quantity of energy necessary to start them. In the Arrhenius equation, K is the reaction rate coefficient (the rate of reaction). A is the frequency factor (how often molecules collide), R is the universal gas constant (units of energy per temperature increment per mole), T represents the absolute temperature (usually measured in kelvins), and E is the activation energy. It is not necessary to know the value of A to calculate Ea as this can be figured out from the variation in reaction rate coefficients in relation to temperature. Like many equations, it can be rearranged to calculate different values. The Arrhenius equation is used in many branches of chemistry. Understanding the energy necessary for a reaction to occur gives us control over our surroundings. Returning to the example of fire, our intuitive knowledge of activation energy keeps us safe. Many chemical reactions have high activation energy requirements, so they do not proceed without an additional input. We all know that a book on a desk is flammable, but will not combust without heat application. At room temperature, we need not see the book as a fire hazard. If we light a candle on the desk, we know to move the book away. If chemical reactions did not have reliable activation energy requirements, we would live in a dangerous world. Chemical reactions which require substantial amounts of energy can be difficult to control. Increasing temperature is not always a viable source of energy due to costs, safety issues, or simple impracticality. Chemical reactions that occur within our bodies, for example, cannot use high temperatures as a source of activation energy. Consequently, it is sometimes necessary to reduce the activation energy required. Speeding up a reaction by lowering the rate of activation energy required is called catalysis. This is done with an additional substance known as a catalyst, which is generally not consumed in the reaction. In principle, you only need a tiny amount of catalyst to cause catalysis. Catalysts work by providing an alternative pathway with lower activation energy requirements. Consequently, more of the particles have sufficient energy to react. Catalysts are used in industrial scale reactions to lower costs. Returning to the fire example, we know that attempting to light a large log with a match is rarely effective. Adding some paper will provide an alternative pathway and serve as a catalyst — firestarters do the same. “Energy can have two dimensions. One is motivated, going somewhere, a goal somewhere, this moment is only a means and the goal is going to be the dimension of activity, goal oriented-then everything is a means, somehow it has to be done and you have to reach the goal, then you will relax. But for this type of energy, the goal never comes because this type of energy goes on changing every present moment into a means for something else, into the future. The goal always remains on the horizon. You go on running, but the distance remains the same. Although activation energy is a scientific concept, we can use it as a practical mental model. Returning to the morning coffee example, many of the things we do each day depend upon an initial push. Take the example of a class of students set an essay for their coursework. Each student requires a different sort of activation energy for them to get started. For one student, it might be hearing their friend say she has already finished hers. For another, it might be blocking social media and turning off their phone. A different student might need a few cans of Red Bull and an impending deadline. Or, for another, reading an interesting article on the topic which provides a spark of inspiration. The act of writing an essay necessitates a certain sort of energy. Getting kids to eat their vegetables can be a difficult process. In this case, incentives can act as a catalyst. “You can’t have your dessert until you eat your vegetables” is not only a psychological play on incentives; it also often requires less energy than constantly fighting with the kids to eat their vegetables. Once kids eat a carrot, they generally eat another one and another one. While they still want dessert, you won’t have to remind them each time, so you’ll save a lot of energy. The concept of activation energy can also apply to making drastic life changes. Anyone who has ever done something dramatic and difficult (such as quitting an addiction, leaving an abusive relationship, quitting a long-term job, or making crucial lifestyle changes) knows that it is necessary to reach a breaking point first. The bigger and more challenging an action is, the more activation energy we require to do it. Our coffee drinker might crave little activation energy (a cup or two) to begin their day if they are well rested. Meanwhile, it will take a whole lot more coffee for them to get going if they slept badly and have a dull day to get through. To understand and use the concept of activation energy in our lives does not require a degree in chemistry. While the concept as used by scientists is complex, we can use the basic idea. It is no coincidence that many of most useful mental models in our latticework originate from science. There is something quite poetic about the way in which human behavior mirrors what occurs at a microscopic level. For other examples, look to Occam’s Razor, falsification, feedback loops, and equilibrium. Those ‘calculations’ are the tools we have available to think better. One of the best questions you can ask is how we can make our mental processes work better. Those models are mental models. They fall into two categories: (1) ones that help us simulate time (and predict the future) and better understand how the world works (e.g. understanding a useful idea autocatalysis), and (2) ones that help us better understand how our mental processes lead us astray (e.g., availability bias). When our mental models line up with reality they help us avoid problems. However, they also cause problems when they don’t line up with reality as we think something that isn’t true. If you get a certain kind of process going in chemistry, it speeds up on its own. So you get this marvellous boost in what you’re trying to do that runs on and on. Now, the laws of physics are such that it doesn’t run on forever. But it runs on for a goodly while. So you get a huge boost. You accomplish A – and, all of a sudden, you’re getting A + B + C for awhile. Disney is an amazing example of autocatalysis … They had those movies in the can. They owned the copyright. And just as Coke could prosper when refrigeration came, when the videocassette was invented, Disney didn’t have to invent anything or do anything except take the thing out of the can and stick it on the cassette. This leads us to an interesting problem. The world is always changing so which models should we prioritize learning? How we prioritize our learning has implications beyond the day-to-day. Often we focus on things that change quickly. We chase the latest study, the latest findings, the most recent best-sellers. We do this to keep up-to-date with the latest-and-greatest. Despite our intentions, learning in this way fails to account for cumulative knowledge. Instead, we consume all of our time keeping up to date. If we are prioritize learning, we should focus on things that change slowly. And, of course, the engineering idea of a backup system is a very powerful idea. The engineering idea of breakpoints – that’s a very powerful model, too. The notion of a critical mass – that comes out of physics – is a very powerful model. After we learn a model we have to make it useful. We have to integrate it into our existing knowledge. Our world is mutli-dimensional and our problems are complicated. Most problems cannot be solved using one model alone. The more models we have the better able we are to rationally solve problems. But if we don’t have the models we become the proverbial man with a hammer. To the man with a hammer, everything looks like a nail. If you only have one model you will fit whatever problem you face to the model you have. If you have more than one model, however, you can look at the problem from a variety of perspectives and increase the odds you come to a better solution. Suppose you want to be good at declarer play in contract bridge. Well, you know the contract – you know what you have to achieve. And you can count up the sure winners you have by laying down your high cards and your invincible trumps. If you don’t have the full repertoire, I guarantee you that you’ll overutilize the limited repertoire you have – including use of models that are inappropriate just because they’re available to you in the limited stock you have in mind. 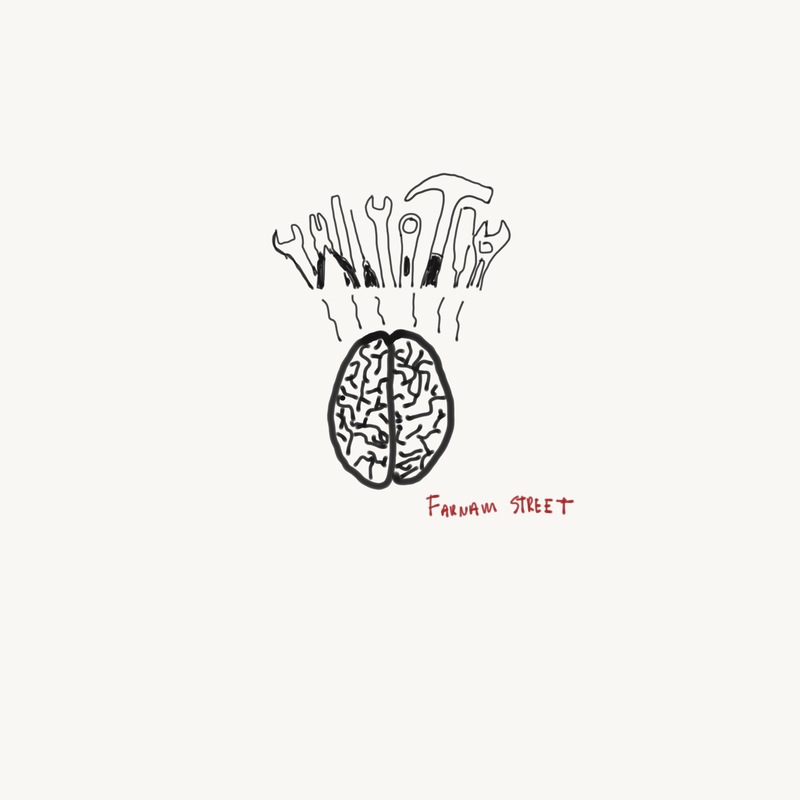 Have a full kit of tools … go through them in your mind checklist-style.. .you can never make any explanation that can be made in a more fundamental way in any other way than the most fundamental way. And you always take with full attribution to the most fundamental ideas that you are required to use. When you’re using physics, you say you’re using physics. When you’re using biology, you say you’re using biology. But ideas alone are not enough. We need to understand how they interact and combine. This leads to lollapalooza effects. You get lollapalooza effects when two, three or four forces are all operating in the same direction. And, frequently, you don’t get simple addition. It’s often like a critical mass in physics where you get a nuclear explosion if you get to a certain point of mass – and you don’t get anything much worth seeing if you don’t reach the mass. Sometimes the forces just add like ordinary quantities and sometimes they combine on a break-point or critical-mass basis … More commonly, the forces coming out of … models are conflicting to some extent. And you get huge, miserable trade-offs … So you [must] have the models and you [must] see the relatedness and the effects from the relatedness.